The Capuano family has been in the restaurant business for 30 years. Being family owned and operated, we have kept the same homemade traditional Italian recipes passed down through generations. Being an independent operation and not a chain restaurant; we can be very flexible with the menu and tailor to your needs. We can accommodate groups for 20 up to 150 guests. For semi-private or private affairs. Weddings, luncheons, dinner parties, cocktail parties, rehearsal dinners, showers to christenings. Businesses are welcome, we can host your next seminar or retirement dinner. We have high speed internet, WI-FI for your convenience. 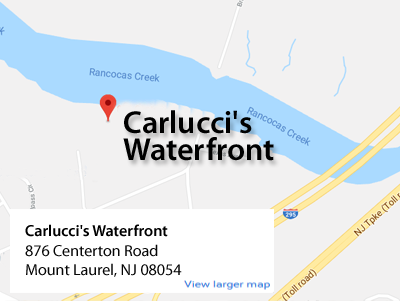 Carlucci's is located on the banks of the Rancocas Creek. The restaurant is uniquely built with windows offering a panoramic view. Also, our newest addition, A beautiful brick face and stone patio right on the waterfront. Perfect for pictures. We have a great geological location being situated right off of Route 295, exit 43 North (Rancocas woods/Delran) & 43 B South (Delran). 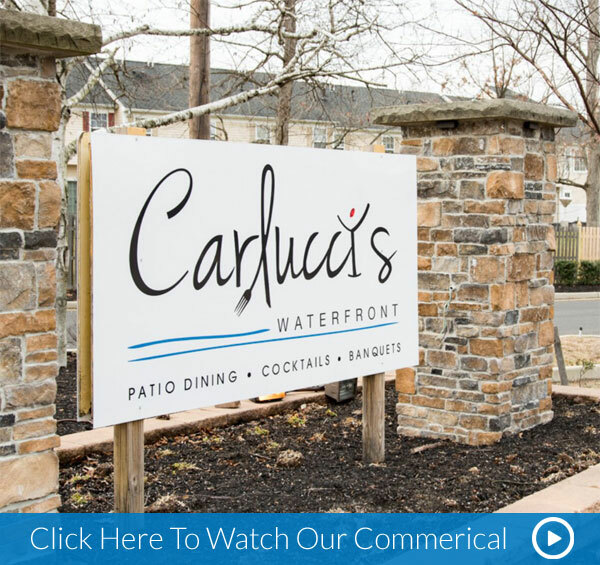 Once exiting 295, Carlucci's is only 30 seconds away with no complicated turns to confuse your invited guests. We are only 20 minutes from Philadelphia, Cherry Hill, Trenton, or Gloucester County.